The proposal for a new decision on the association of OCTs with the Union is in line with the intended simplification of the next MFF. 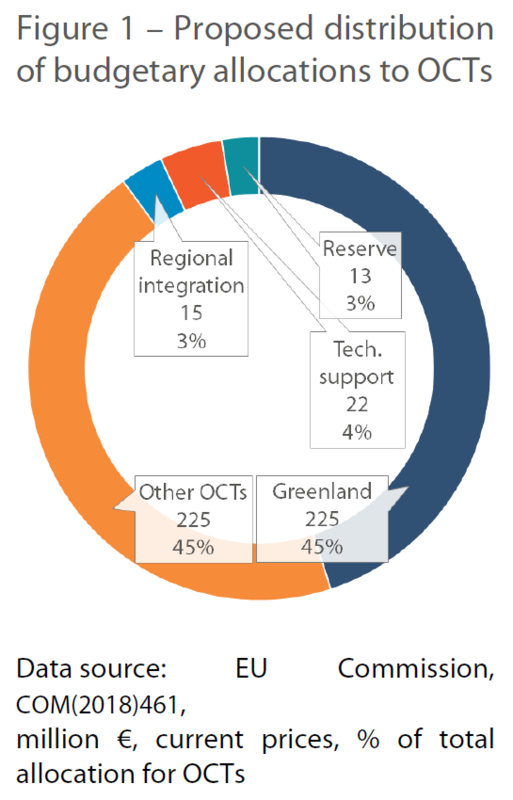 The proposed integration of the EDF into the EU budget would make it possible to bring together the Greenland instrument, currently in the EU budget, with the funding for other OCTs, currently provided by the EDF. In the 2021 to 2027 MFF a new budget line under Heading 6 would cover funding for all OCTs. if adopted, the decision would be implemented after the UK has left the Union, therefore the 12 British OCTs would no longer be covered.